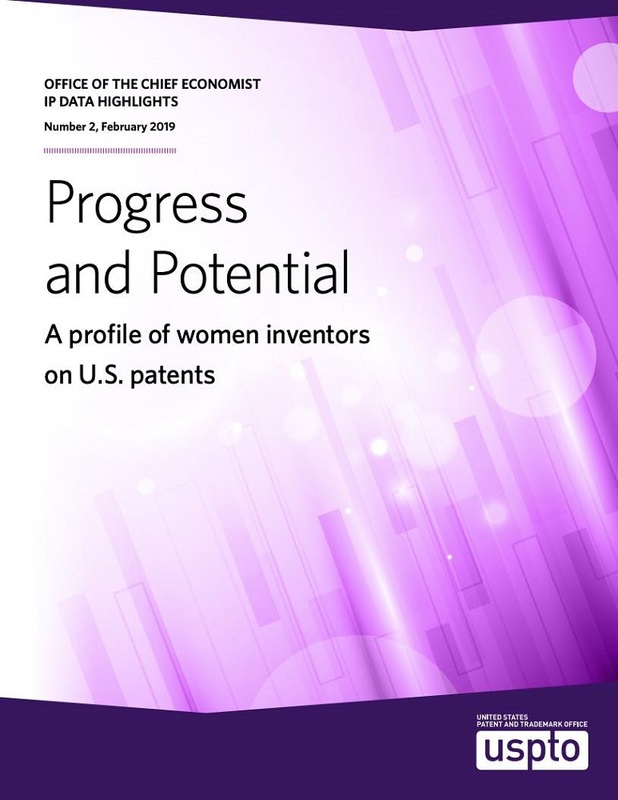 The report, “Progress and Potential: A profile of women inventors on U.S. patents [pdf],” was prepared by the Office of the Chief Economist at the USPTO, in collaboration with research teams from the University of Bordeaux in France, and Bocconi University in Italy. “Women inventors have made and continue to make key contributions,” Laura Peter, deputy under secretary of Commerce for Intellectual Property and deputy director of the USPTO, said in a press release on the report. “We look forward to working with industry, academia, and other government agencies to identify ways to increase the number of women inventors in all sectors of our economy,” she said. The report studied “U.S. women inventors named on U.S. patents granted from 1976 through 2016,” using data from PatentsView, an online resource supported by the USPTO Office of the Chief Economist. “The number of patents with at least one woman inventor increased from about 7% in the 1980s to 21% by 2016. 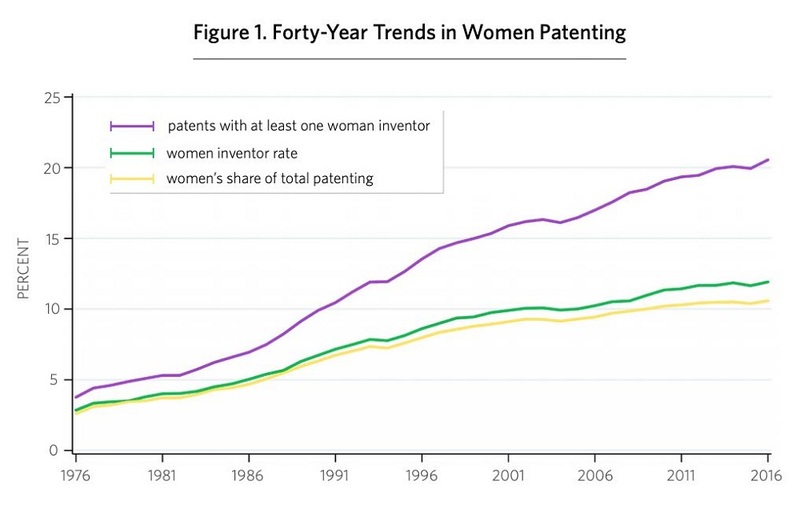 Despite this increase, the percentage of all patent inventors that are women, or the annual ‘women inventor rate,’ reached only 12% in 2016.
Notable differences in the number of male and female patent inventors persist despite greater female participation in science and engineering occupations and entrepreneurship. Women inventor rates are higher in technology-intensive states, but also in states where more women participate in the overall workforce. “It is important for the United States to broaden its innovation ecosphere demographically, geographically, and economically,” USPTO Director Andrei Iancu said in the release. "Women On The Rise In Patent Filings, But Still Underutilised Potential, USPTO Says" by Intellectual Property Watch is licensed under a Creative Commons Attribution-NonCommercial-ShareAlike 4.0 International License.